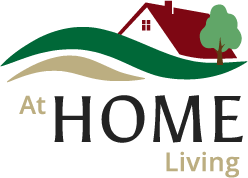 Why Choose At Home Living for Adult Foster Care Services? Everyone should have a place to call home. A place that encourages independence. A place that has a positive effect on the lives of those who live there. A place that provides comfort and safety, support, and self-esteem. A place where you can find dedicated people who understand the challenges of the outside world and the importance of real-life skills. A place where warmth and laughter are always present. Working for individuals with disabilities and their families to encourage choice, promote independence and improve quality of life. We provide individualized adult foster care services for residents with physical and mental disabilities in loving, home settings. Residents enjoy an active lifestyle suited to their unique needs so that they can live safely and happily in our homes for the long-term or until they are able to reintegrate into the community. Thoughtful placements. We want you to have a place called home. We care about ensuring you live where you’re comfortable. Individualized care. You have more choice and control over your daily schedule. We want you to lead the life you want to lead. Person-centered approach. Most homes create the structure and then try to fit the client into it. We don’t do this. We offer person-centered care, building the structure with the client. It is our approach that has earned us a great reputation in our industry. While we are super thankful for this honor, we are even more honored that our residents and their families feel the same way. We couldn’t be happier when we receive a compliment from a current or former resident about one of our staff members, one of our homes or a service we provided. We opened our first home in 2000 in Duluth, Minnesota. Our founder, Chris Priley, opened the first home and became the primary caretaker for the residents. Chris had previously worked in a home where he learned everything hands-on about the business and more importantly, how to compassionately care for residents. We now have over 20 homes throughout Minnesota that serve more than 80 residents. When you are searching for a home for yourself, a family member or client, it’s important to know that we care about our residents’ safety and security. This means we continually educate our staff and offer benefits that entice good people to stay with us for the long-term. We are licensed throughout the entire State of Minnesota and have service hubs in both the northeastern parts of the state and the northern Twin Cities metro, so we can quickly and efficiently deliver the services you or your loved one needs. Everyone Deserves a Home. Call Us to Find Yours. In our homes, you’ll feel safe, supported and optimistic. Our dedicated staff understands the daily challenges you face and are here to make your life better. You deserve to be independent and have control over how you spend your day. Reach out to us today to learn about our current openings or our services. to set up an informational meeting. We would be honored to help you find an adult foster care setting that truly feels like home.